Top of Texas Corgi Rescue, Inc. 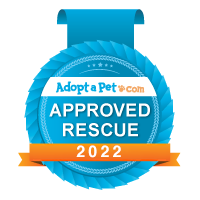 Adopting a Rescue Corgi from Top of Texas Corgi Rescue, Inc.
We work very hard to match our rescues to the perfect forever home for each dog. We require an interview, completed application, and home visit before adoption. A completed application is the first step in the adoption process. Applications can take from 7 to 10 days to review. Please be patient with us, as we are all volunteers with commitments and full-time jobs. However, if you've not heard back from us in a reasonable period of time, please email us again, because sometimes emails slip through the doggie door! Submission of an application does not guarantee that you will receive a dog. Our first consideration is always placing the dog in the home best suited for that dog. An incomplete application or misrepresentation of any facts on the application is grounds for refusal. All existing dogs in the home must be spayed or neutered, and up to date on their shots in order for the application to be considered. You will be contacted by telephone to set up a home visit once your application has been reviewed and approved. If you have or have had a pet in the past, we will check your vet references. Once your application and home visit are approved, we will arrange for a "sleep over." The "sleep over" is designed to give you an opportunity to get to know the dog and decide if he or she will fit into your lifestyle. This is also when existing dogs, if any, should be introduced. A good "fit" is very important. There is a lot of love, time, and sometimes money invested in these dogs, and our foremost concern is that they are going to a great forever home just right for them. If you decide to adopt, we require that you sign an Adoption Agreement. The main points in the agreement are that the dog is primarily an indoor dog, that you will take care of their routine veterinary needs, and that you will return the dog to Top of Texas Corgi Rescue if for any reason you cannot or choose not to keep it. All of our rescued dogs are spayed or neutered, they are up to date on their vaccinations, vet checked and provided necessary healthcare, heartworm tested, and micro chipped prior to adoption. Adoption fees are set to help cover these vet fees. Volunteers donate their time, food for the dogs, gas for transportation and home visits and, of course, lots of love. Adoption fees range between $125.00 to $200.00, depending upon the dogs age. Senior and special needs dogs adoption fees are set individually. All adoption fees are payable at the time of the adoption. Adoption fees are not refundable after 30 days. Please feel free to visit with us if you have any questions or concerns. Content copyright . Top of Texas Corgi Rescue, Inc. All rights reserved.